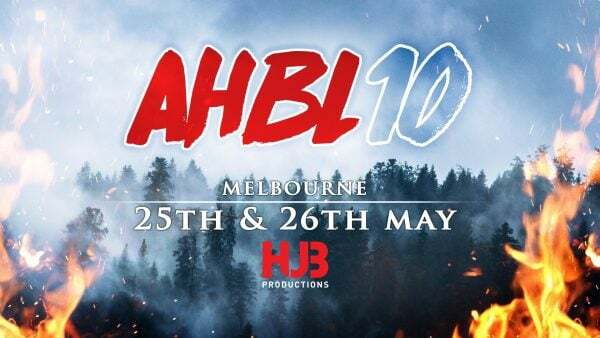 View cart “AHBL 10 – Supernatural Combo” has been added to your cart. Come along to some fantastic evenings of music, partying, excitement and fun! Pick up the Supernatural Combo Ticket for entry to the Supernatural Sleepover on the Friday night and the Supernatural Sing-Along on the Sunday night; or grab the Supernatural Concert ticket and come along on Saturday night for an amazing experience; or buy both tickets and come along to all three evening events! Location and time details for all three events will be advised to ticket holders in the week leading up to AHBL 10. Admittance to the Supernatural Sleepover and the Supernatural Sing-Along are included with Ultimate and Platinum AHBL 10 tickets. Admittance to the Supernatural Concert is included with Ultimate, Platinum & VIP AHBL 10 tickets. 1. You must hold an All Hell Breaks Loose 10 ticket to purchase tickets to the Sleepover, Concert or Sing-Along. You will need to bring your AHBL event ticket or AHBL ticket receipt (if your tickets have not arrived) to the evening event , as well as your evening event ticket receipt. TICKETS TO THE SLEEPOVER, CONCERT AND SING-ALONG WILL NOT BE MAILED OUT. 2. IF YOU CANNOT PROVE THAT YOU ARE ATTENDING ALL HELL BREAKS LOOSE 10, YOU WILL NOT BE ADMITTED TO THE SLEEPOVER, CONCERT OR SING-ALONG, WITH OR WITHOUT A TICKET PURCHASE. 3. Please note these are not catered events; no food will be provided. 4. Each ticket to the Supernatural Sing-Along only includes one drink (house beer or wine for over 18s, soft drink or juice otherwise). There will be a cash bar for additional drink purchases. You must bring photo ID to obtain alcoholic drinks. Also note that no autographs from the special guests are permitted at the event. Photos or video recording of the special guests is only allowed when they are performing. Please respect this request. PLEASE NOTE: All event guests will be appearing on both days. At the Supernatural Concert (Saturday night), you can hear the music of Jason Manns & Louden Swain (featuring Rob Benedict!) as they grace Australian shores once again! And keep your eyes peeled for surprise guest appearances!